How Far is DS-Max Saphire? A living space which offers grace with convenience, comfort with style, near to the city, yet tucked away far enough to escape its deferring such, non-stop traffic & choking dust. A house which makes your investment a profitable one. A gift for generations to come. Come to DS-MAX SAPHIRE which is all this and more. 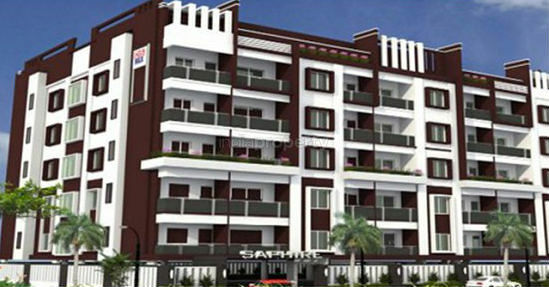 Located in HBR Layout DS-MAS SAPHIRE redefines comfort and offers a host of comforts. Located near Manyata Tech Park, which itself is a good landmark. 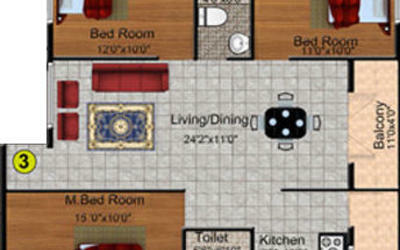 Just 2 mins to Ring Road, Schools, Colleges, theater, Shopping Malls are nearby. Residency in this location is 100% an investment whose value can only increase with time. The location is unmatched and the price is very competitive and you can make very good rental income. European water closet (EWC) of branded make, hot and cold water mixer unit with shower in all toilets, all chromium plated fittings of branded make. Anchor/eqivalent modular switches, Anchor/equivalent copper wires.